We deal with property management day in day out, so therefore we know how to make things smooth and simple for our Landlords. With our expertise, professional qualifications and local market knowledge on your side, letting your property can be swift and stress-free. Our letting and management services lets landlords choose how much input they — and we — have. If you do not have the time or expertise to manage your property, we offer a full property management service. If you prefer to do the day-to-day management yourself, we offer tenant finder services, and rent collection. If you require a FREE no obligation appraisal of your property then you can either give our office a call or simply fill in your details on the form provided (to your right) and one of our agents will call you straight back to arrange an appointment with you. Looking to let your property? Get in touch. 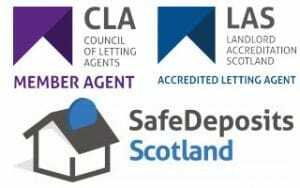 To speak with a member of Accommodate staff about letting your property ring us on 0131 229 8995, Monday - Friday Or you can complete the form below to get in touch. Please provide a phone number or email address so we can contact you.